Disney World in the US is changing its disabled visitor policy after an increase in able-bodied visitors abusing the current system to skip queue waiting times. Disabled visitors will no longer be able to automatically skip long queues but instead will be issued with reserved time tickets which will allow them on the ride at an allotted time on busy rides. This means that if a queue for a ride is around a 45 minutes long then the ticket will be issued for in 45 minutes time allowing the disabled person to go to a less busy attraction in the meantime. 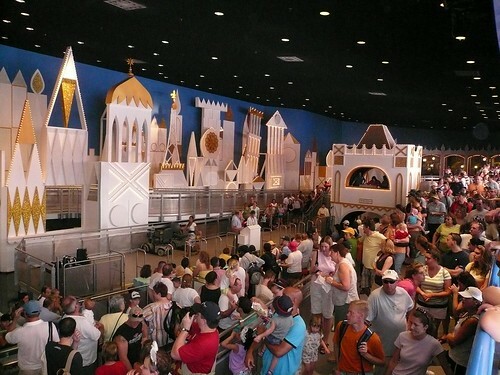 Until now, Disney has allowed anyone in a wheelchair to bring as many as six guests with them to a ride’s backdoor entrance. According to a New York Post article, wealthy New Yorkers have been abusing this system by hiring disabled “black market Disney guides” to Disney World in Orlando. The guides reportedly offered their services to pose as family members to enable their clients to skip the queues. They would charge around $130 and hour (£81), or just of $1,040 (£649) for a full day. Walt Disney World issued the following statement: “We have an unwavering commitment to making our parks accessible to all guests. Given the increasing volume of requests we receive for special access to our attractions, we are changing our process to create a more consistent experience for all our guests while providing accommodations for guests with disabilities. The policy has not been universally welcomed, with some disability groups arguing that the change could deter disabled visitors to the parks in future. Disney said further details will be announced once park employees have been briefed.